a bottle of FLITZ Wax for added protection! 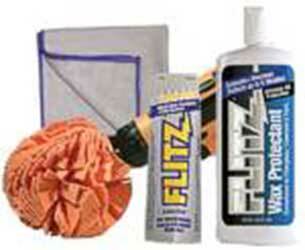 All the benefits of the standard Headlight Restoration Kit WITH a bottle of FLITZ Wax for added protection! Wax is all natural bees wax and carnauba formula. Long-lasting protection from discoloration.